Planning is an essential part of every content marketing strategy, something most businesses tend to ignore. 48% of smaller organizations have a documented content marketing strategy, compared to only 41% of larger organizations. Either way you look at it, the majority of businesses are so eager to get started with creating content, they’re willing to dive in without a plan. Don’t be one of those businesses… Creating content that provides the best experience for your website visitors while attracting relevant traffic from search engines takes a lot of time and effort. Learn how to plan a long-term content marketing strategy with these free HubSpot Academy resources. To get started, let’s review a proven process you can implement immediately. You first need to understand how to create content that works for the website visitor and search engines. Here’s how your content can solve for both: Create targeted clusters of relevant content that each cover a specific core topic in depth. These targeted clusters then need to lead to a centralized hub, known as the content pillar. What is a content pillar? A content pillar (aka pillar page) is a website page that covers a broad topic in depth and is linked to from a cluster of related content. 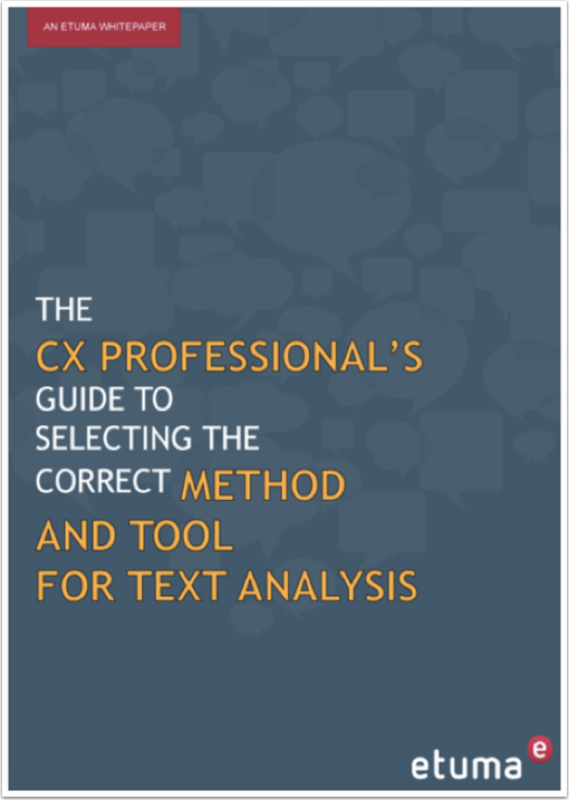 While there’s more than one way to create a pillar page, here’s a seven-step process that a company called Etuma created to provide a comprehensive overview of the broad term ‘text analysis’. Create blog posts for subtopic content. Repurpose subtopic content into a downloadable offer. Link relevant content to 10x content pillar page. First, Etuma identified a core topic for their 10x content pillar page. Etuma performed research on keywords their primary buyer persona, Customer Experience Manager Maggie, might use when looking for information online. They identified the broad term ‘text analysis’ and decided this will be their core topic because it’s an awareness-stage subject that Maggie would search for and it’s connected to a product or service they offer. If you’re going to take the time to create content that educates your audience, make sure it connects to, and supports, at least one of your products or services. If it doesn’t, you should ask yourself why you’re creating it in the first place. Second, Etuma identified their topic cluster. You may already have some content created in support of your core topic. Instead of re-inventing the wheel, identify currently owned media that are relevant to your core topic. 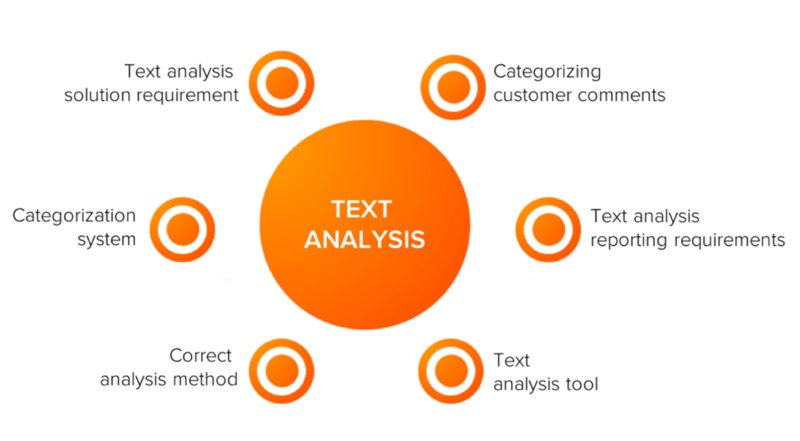 In this case, Etuma already had four pages of text analysis-themed blog content and a series of YouTube videos. And while it may be great that you have created subtopic content already, don’t sell your business short. Brainstorm a list of as many subtopics as possible that bring value to your core topic that are yet to be published. Once you make a comprehensive list of subtopics, narrow it down to six of the strongest subtopics that support your core topic and its pillar page. Remember that you can continue growing your pillar page, so having a list of subtopics already identified will help make that process easier. That list you’ve made is the content gift that keeps on giving. Third, Etuma created blog posts for their subtopic content. If you’re like Etuma and you choose at least one subtopic that needs content created, you’re going to need a way to bring it to life. Create a blog post first because there are various opportunities for repurposing it in the future. Once Etuma created this blog post, they had a blog for each one of their subtopics they identified. Fourth, Etuma repurposed their subtopic content into a downloadable offer. Once you have all the content you need to create your pillar page, repurpose the subtopic content into a downloadable offer. Remember, the goal here is to use the content you have to put together a helpful story for the reader, which explains the core topic in depth. Create your content offer before the pillar page. This way, you’ll be able to prepare a highly relevant conversion action (downloading the content offer) to have on the pillar page so your business can start generating leads as soon as the page is published. Fifth, Etuma deconstructed their downloadable offer into a 10x content pillar page. Etuma took the same content offered in their guide and formatted it to fit on a website page. We all know that “content is king”. Matt Cutts, formerly with Google, coined this phrase many years ago, but design is sometimes forgotten, and it’s just as important, if not more, than the content on the page. You want people to have a positive experience when they’re reading your content. Think about the last bad experience you’ve had at a restaurant you visited. Did you go back? To make sure your 10x content pillar page provides a positive experience, check out these 13 layout tips outlined on Etuma’s example. Let’s review each layout tip in more detail. Starting at the top-left of the example, with tips one, two, and three, apply consistent on-page SEO best practices, referencing the core topic in your page title, URL, and H1 tag. Moving down to tip four, include conversion-focused landing page elements. Really, this is what a landing page should look like: text to the left with bullet points to describe the offer’s value, an image of the offer’s cover in the middle, and a form to fill out and access the offer to the right. Insert the form directly on the 10x content pillar page. Doing so reduces the number of conversion actions a reader needs to take to download the resource. That being said, if you’re more comfortable with a dedicated landing page with a form to access the offer, insert a CTA on the pillar page to send readers there. Moving down to tip five, add an anchor-linked table of contents below the conversion point with the line “click the link to go directly to a specific section.” This lets the visitor know they can view the content first before deciding to take it with them. Moving up to the top-right of the example and layout tip six, you’ll notice there’s website navigation. The goal of this page is to create a positive experience for the visitor, not force them to convert as a landing page would. Moving down to tip seven, there’s a definition of the core topic. The core topic is defined at the top of the page, which helps optimize the page to be chosen as a featured snippet for that topic. A featured snippet is Google’s way of trying to answer your search query simply without you having to click through to a page. It’s the first thing people see before the search result listings. Moving down to tip eight, use relevant images throughout the page, with the core topic referenced in the alt text. It helps optimize the images used on the page for image search results. Moving down to tip nine, use H2 tags for section headers—don’t even think about just increasing the text size and bolding it. Let’s keep it simple, consistent, and neat. Using proper HTML structure helps provide a clean user experience and makes it simpler to update the page. Moving down to tips 10 and 11, use relevant internal and external links to dig deeper into resources. Yes, I said external as well. It helps to use external links to validate your claims. Just use them strategically, like to support a claim or data point you need to reinforce. Moving down to tip 12, reference your core topic throughout the page. But don’t just repeat the exact phrase—search engines are smart enough to understand synonyms of your core topic phrases. And lastly, tip 13, have a back-to-top button. This way, when people click a section they want to learn more about, they can easily jump back to the top. 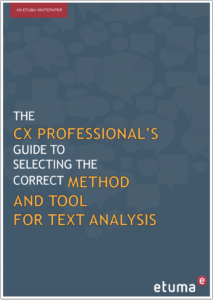 People probably won’t read your entire page, but they may find one section interesting enough and want to download it and take it with them. You want to make this process as easy as possible for the visitor. Forgetting this step would require the reader to scroll endlessly, or it might feel like it, which could lead to frustration, which could further lead to them leaving your page and going elsewhere. Sixth, Etuma linked their relevant owned media content to their 10x content pillar page. Once you complete your 10x pillar page, you’re going to need to hyperlink your subtopic content to it, creating your topic cluster. The goal here is to connect all owned media that are relevant to the core topic to the pillar page using a hyperlink. The more content associated with your topic cluster and pillar page, the better. Etuma linked more than 20 relevant pieces of content to their 10x content pillar page. Seventh, Etuma created a conversion path for people to access their 10x content pillar page. The goal here is to let people know this content is available because if you don’t, you run the risk of a large portion of your website visitors never finding it. Forgetting this step would be similar to building a new addition on your house without a door. No matter how great that room is, what’s the point if no one can get in? One placement to consider is to call out your pillar page in the top navigation on your homepage through a one-or two-click process: one click if you offer it directly in the drop-down menu, two clicks if you have a resources page with multiple assets to organize and call out. 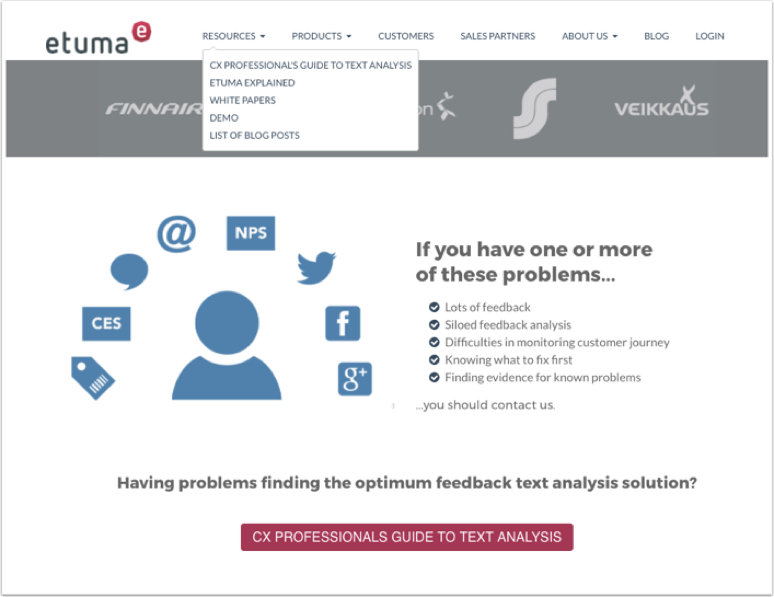 Etuma calls out their 10x content pillar page as a one-click option in their Resources tab. Another placement to consider is a dedicated section with a CTA near the top of the home page, with an image and descriptive supplemental text. This doesn’t mean it always needs to stay here on this page. You can promote the pillar page for a limited time, possibly for two weeks or a month, to support its publishing launch. And there you have it: Seven steps to creating an effective 10x content pillar page for your business. Etuma has been creating content consistently for years, but this seven-step process helped them make more sense of how to create, grow, and connect effective content. But how well is it performing? And why do you think Etuma’s quality of leads went up? Because their content provides so much value that interested visitors are willing to give up their information to take a packaged download with them. If you’re looking for a place to start with creating topic clusters and pillar pages, consider deconstructing your existing awareness- or consideration-stage offers into 10x content pillar pages. 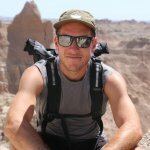 I reverse-engineered a DIY truck camper guide through a series of blog posts for my alternative lifestyle website, Wild We Wander. And to solve for the best experience for website visitors and search engine web crawlers, I deconstructed that guide’s content into a conversion-focused 10x content pillar page. The result? In 12 months, our non-paid, organic traffic coming from search engines increased by 747%. Remember, if you have something valuable to say to your audience and the world, don’t keep it locked up behind a form. Get it out there for all to see. Make sure to package it in a way that makes it easy for people to take with them and enjoy elsewhere. In the next post, we’re going to review a list of content promotion tips on how to get the word out there on your content. Want to learn more about how to create an effective long-term content strategy? Get a copy of my book, Inbound Content: A Step-by-Step Guide to Doing Content Marketing the Inbound Way.